This article has been written by Briony Turner who was our Social Media and Marketing Intern during 2015. 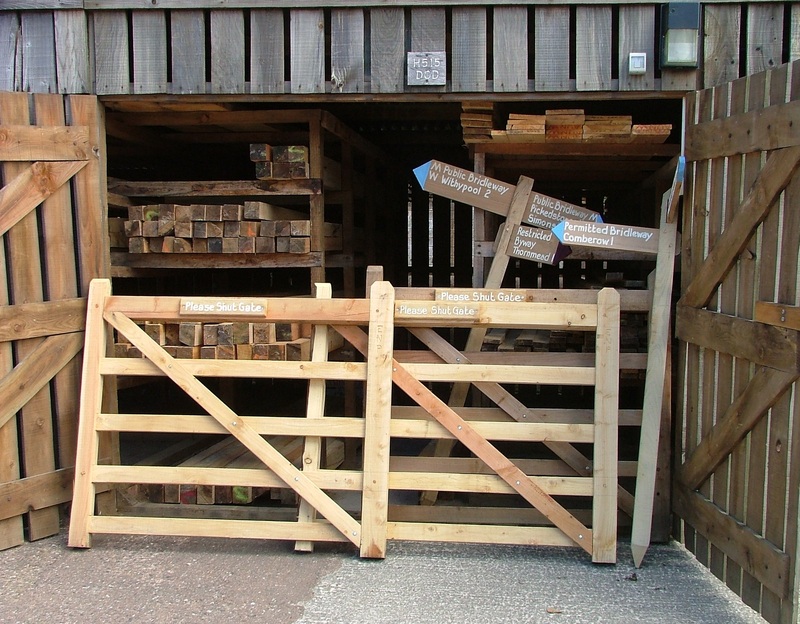 She has written a great article about what the working day involves for two of our other interns, Rachael and Lewis, based in the Field Services team. Her visit took place in June 2015. 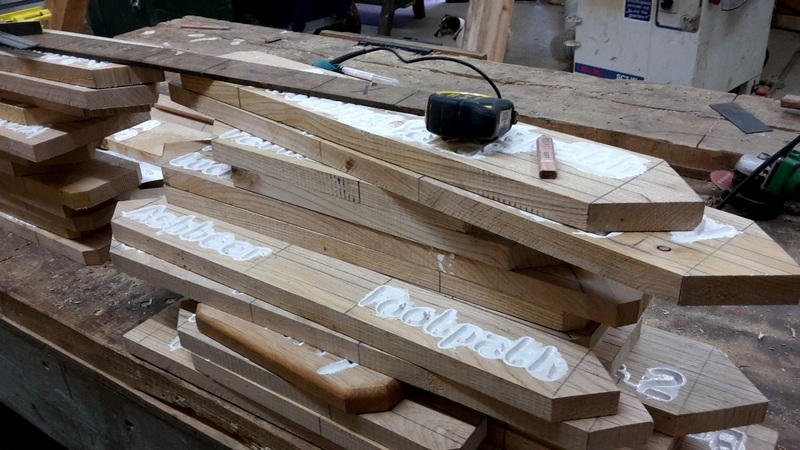 Signposts piled up, ready to be sanded. I’m very lucky. In my role I’m not just chained to a computer screen, tweeting away and drowning in analytics. 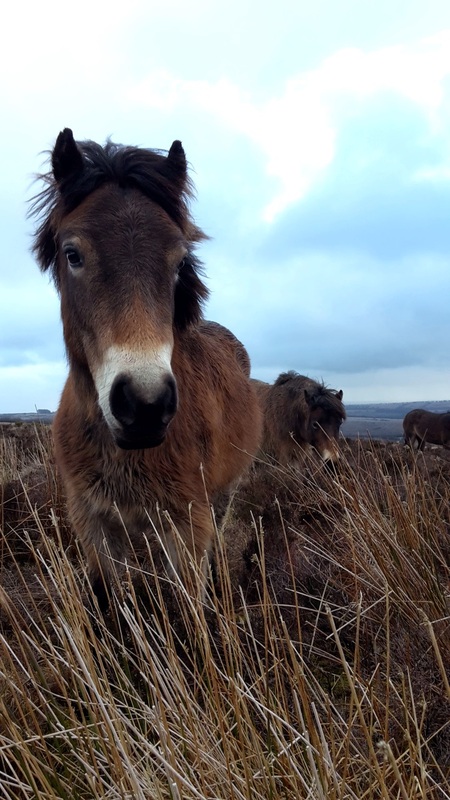 I also get to venture out and about, discovering different parts of Exmoor as well as learning about other people’s jobs and what exactly it is they do, all in the name of helping them use digital communications more effectively. Rachel and Lewis hard at work! I’ve tagged along on risk assessments for potential school groups at Hawkcombe; pulled up Christmas trees with Minehead Middle School at Hopcott, and enjoyed a somewhat charred baked potato with a lovely group of conservation volunteers – in the rain. 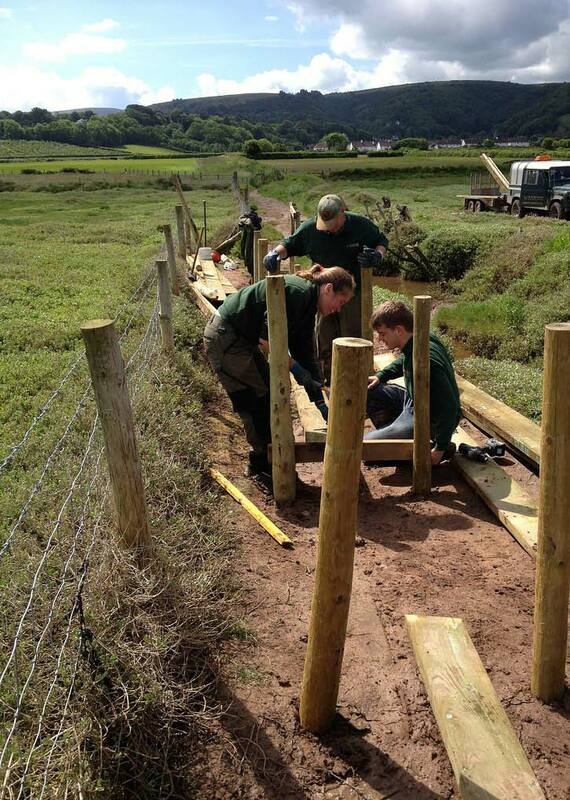 Learning and development has been a key part of their time with Exmoor National Park. By the end of their internship, Rachael and Lewis will have licences to drive tractors, dumpers, diggers, and tow a trailer. The protective gear they have been given for their placement is theirs to take away, not to mention the hands on experience they’ve gained. So, what does the future hold for them? Previous Article CareMoor now trademarked!